Our area offers an array of restaurants and bars, from fine dining to relaxed and affordable… you’ll find something to suit everyone’s appetite! Our all out favourite is the Rockpool in Cullen. From Sandend, this is a no brainer, but if you are staying in Lossie or Burghead, plan this into a day trip to explore the wonderful little harbours and villages along the Banffshire Coast and you won’t be disappointed. If you are lucky enough to be around for one of their Bistro evenings, jump at the chance and we’ll probably see you there! A new restaurant, already getting a great reputation. Superb, fresh locally sourced ingredients. Just past the Lighthouse on the way to Burghead, this is another firm favourite, for both savoury bites and fancy pieces! You can even hit a few balls at the golf driving range next door! 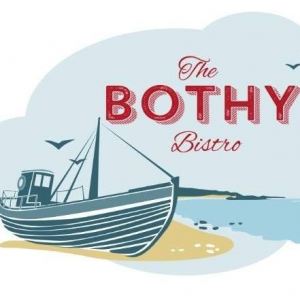 Overlooking the Marina, in a secluded corner of Lossiemouth, the Harbour Lights café & Restaurant, Lossiemouth, Moray is a bustling daytime café specialising in All day Breakfasts, Lunches, Snacks, Home Baking and a variety of Teas & Coffees. On Saturday evenings, the Harbour Lights café & Restaurant in Lossiemouth, Moray is transformed into a candlelit restaurant offering a freshly prepared A la Carte Dinner menu. It features locally sourced, seasonal ingredients wherever possible and is complemented by a varied, contemporary wine list. A hidden gem in the heart of Burghead. Breakfast, Lunch, Dinner or just Coffee or an Ale…. Come and try it for yourself!